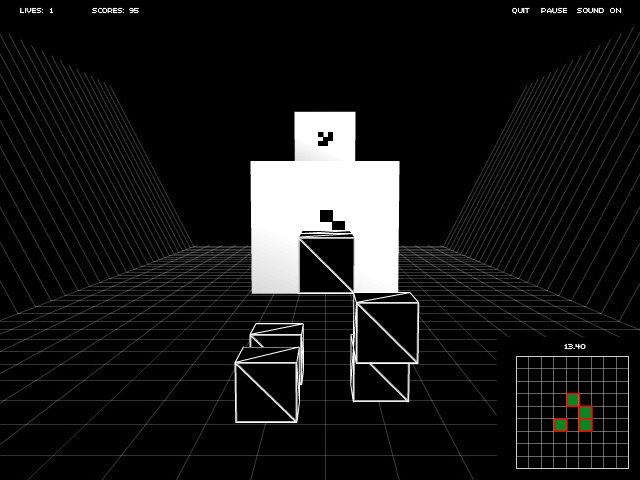 Take your problem solving skills to the third dimension in this challenging, retro-graphic Puzzle game!Three dimensions of puzzling fun!Flip and rotate the shapes through three-dimensional space with the arrow keys (or WASD). 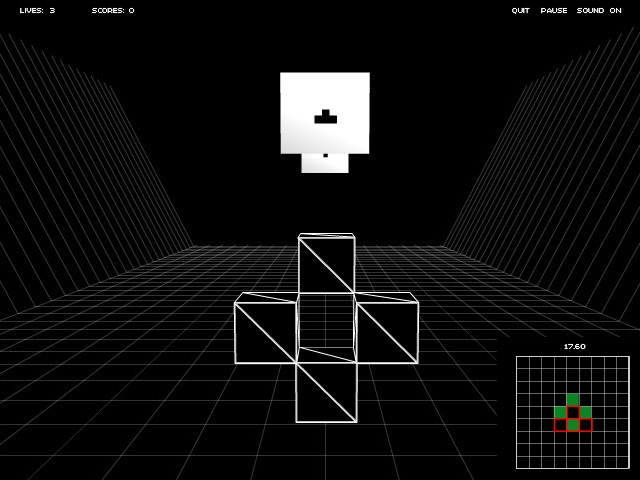 Line the shapes up with the apertures on the incoming walls to advance to the next level. 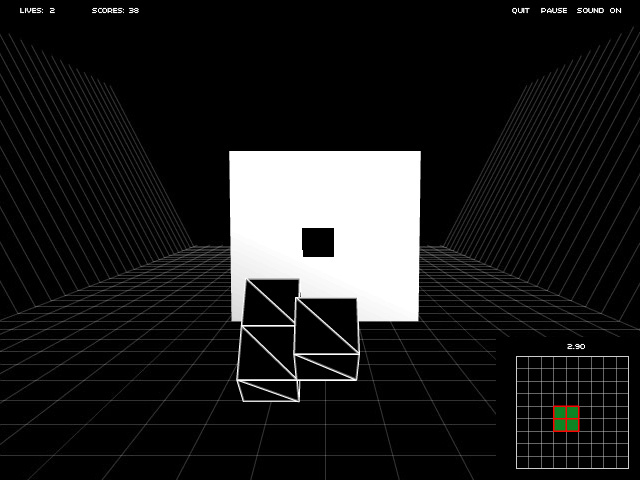 Increasing levels feature more complex shapes and introduce time limits on the swooping walls. 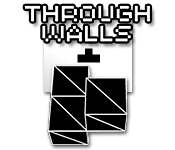 Put your spatial reasoning to the test with Through Walls!